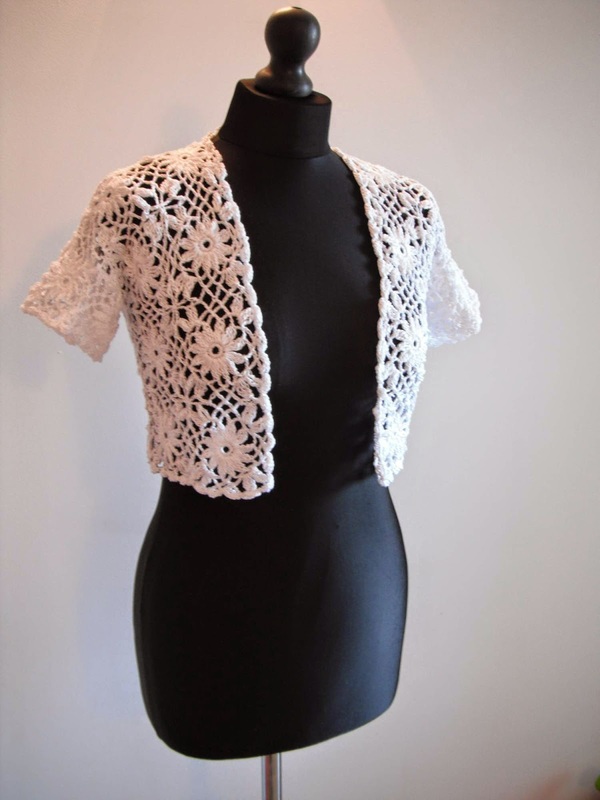 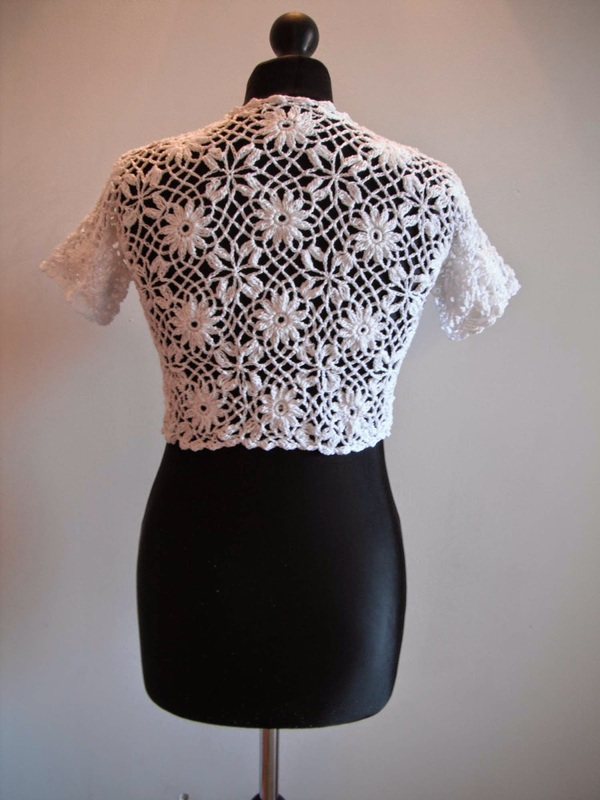 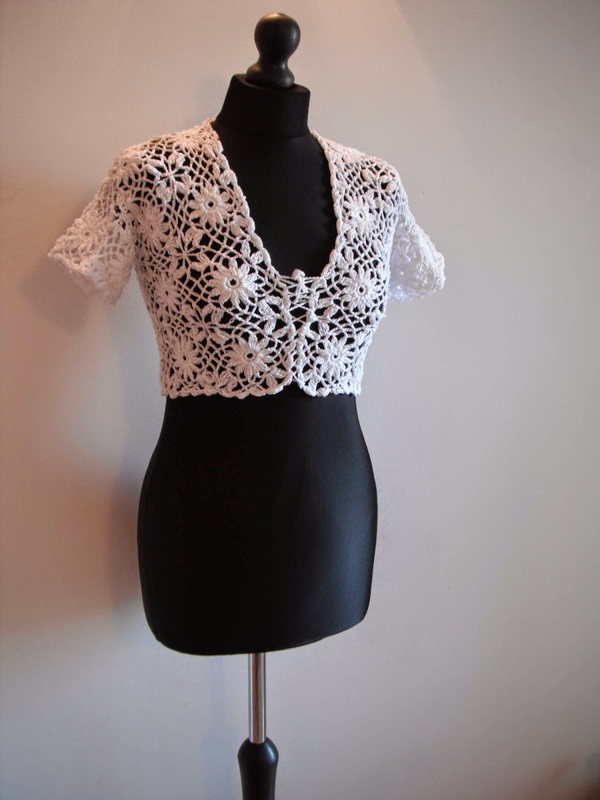 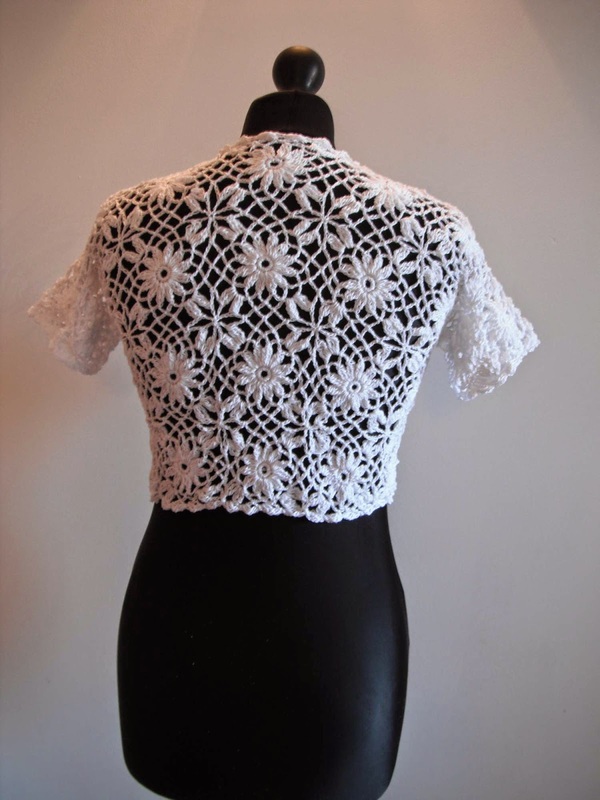 This crocheted bolero is perfect to wear over your favorite sundress or to layer over a t-shirt or tank top. 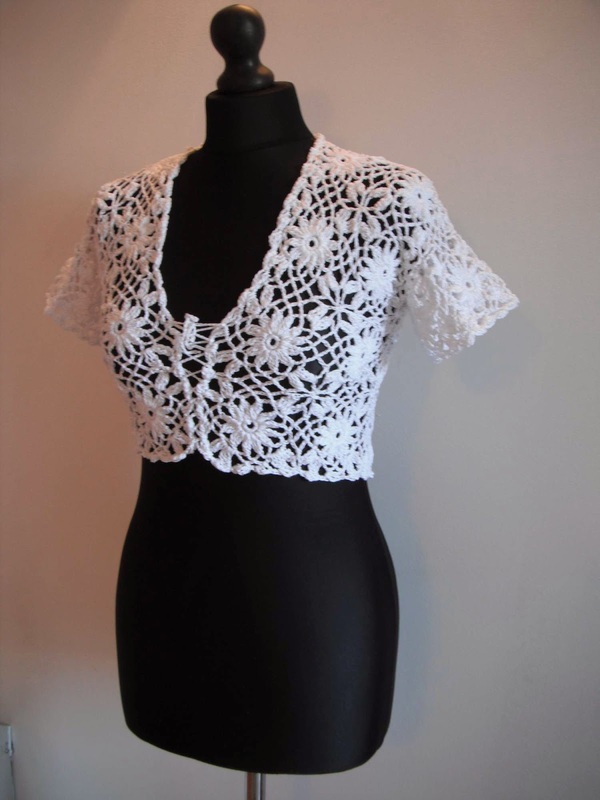 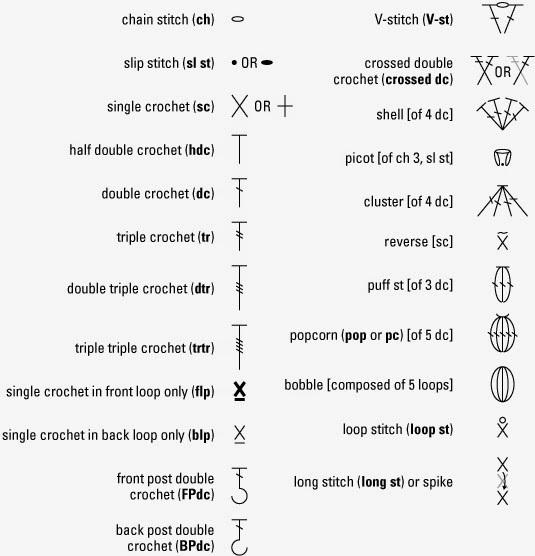 It goes from casual to even formal occasions.This cleverly designed accessory is comfortable to wear and easy to crochet. 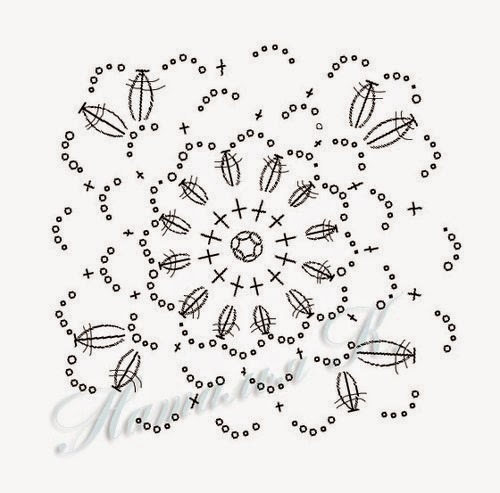 S: 200gr; M: 250gr; L: 300gr.